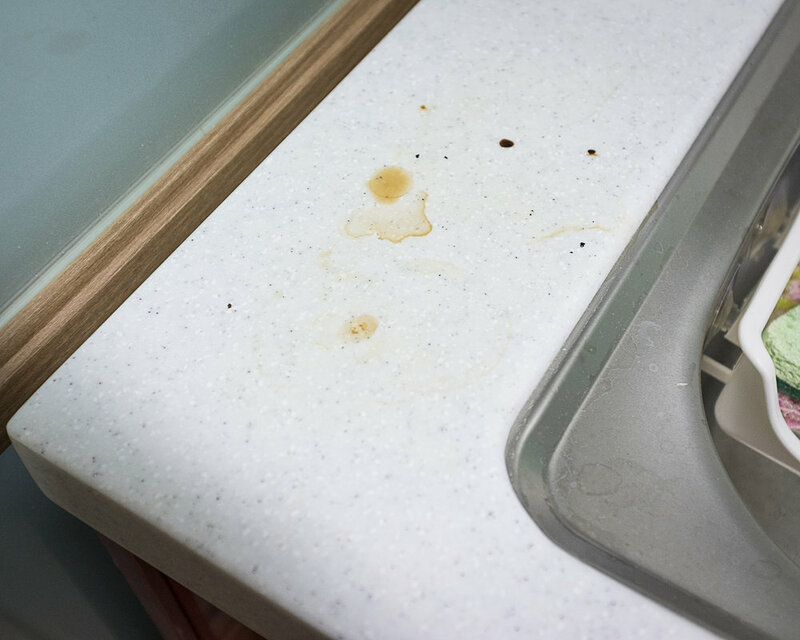 Daily Stains was conceived in response to overwhelming feelings of displacement and alienation shortly after I moved from the United States to Gimpo, South Korea. 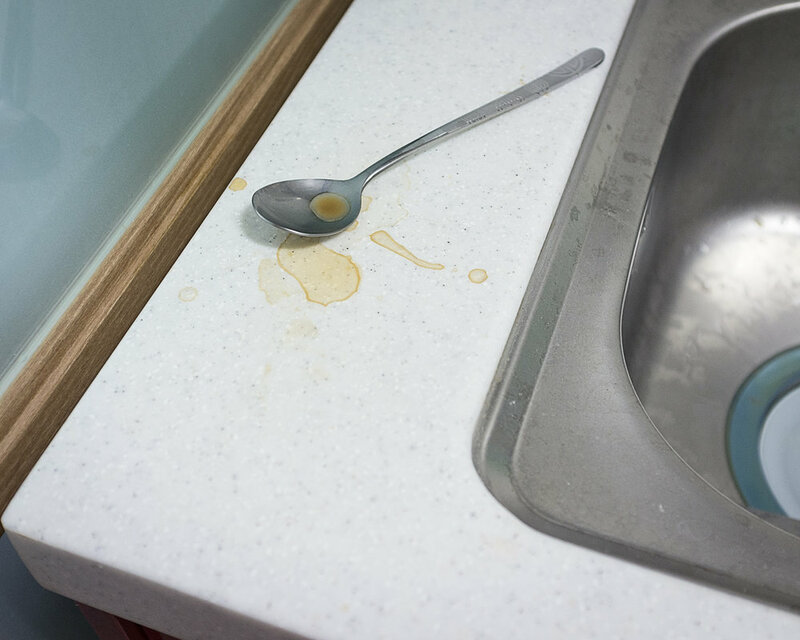 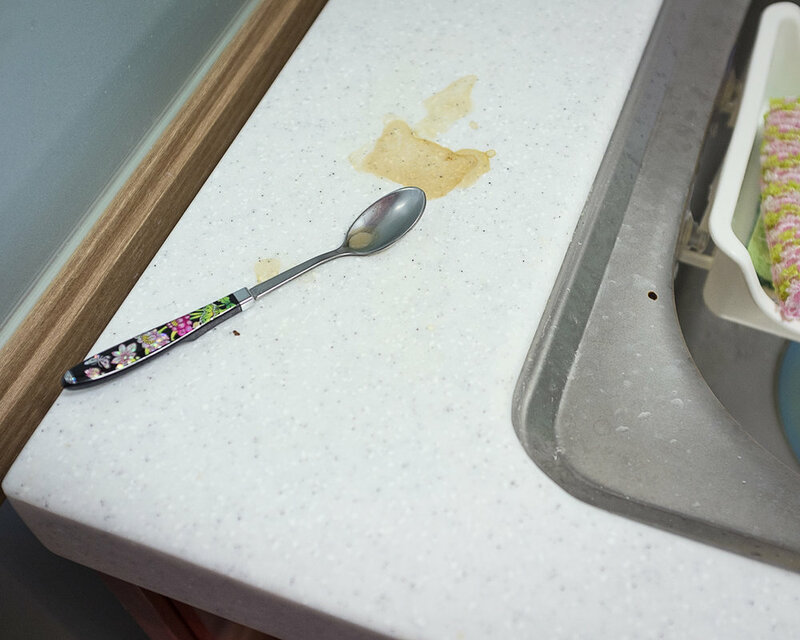 In this series of serial photographs, taken from the same vantage point and roughly the same framing, the subject is always the same: stains from a cup of coffee and the spoon used to stir it on the edge of a kitchen sink. 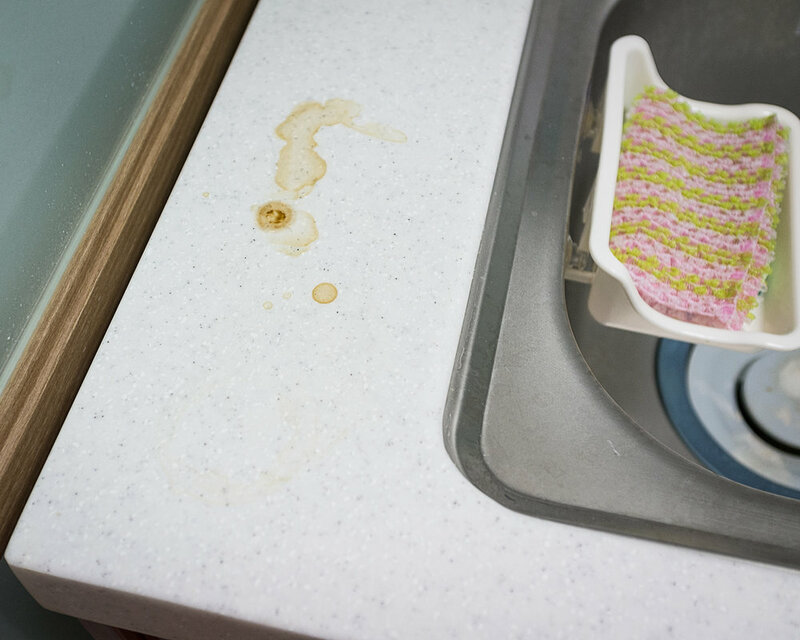 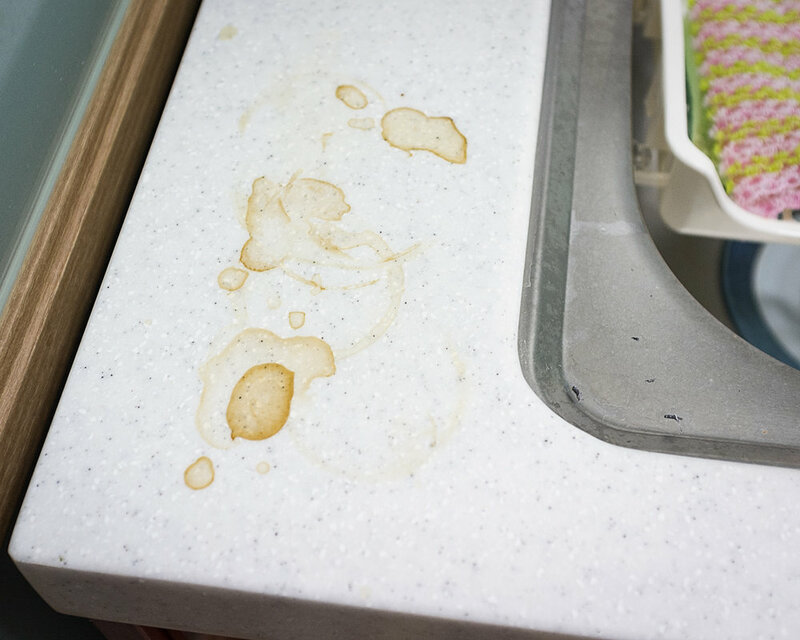 For several months, I photographed these stains until the need for this routine collapsed. 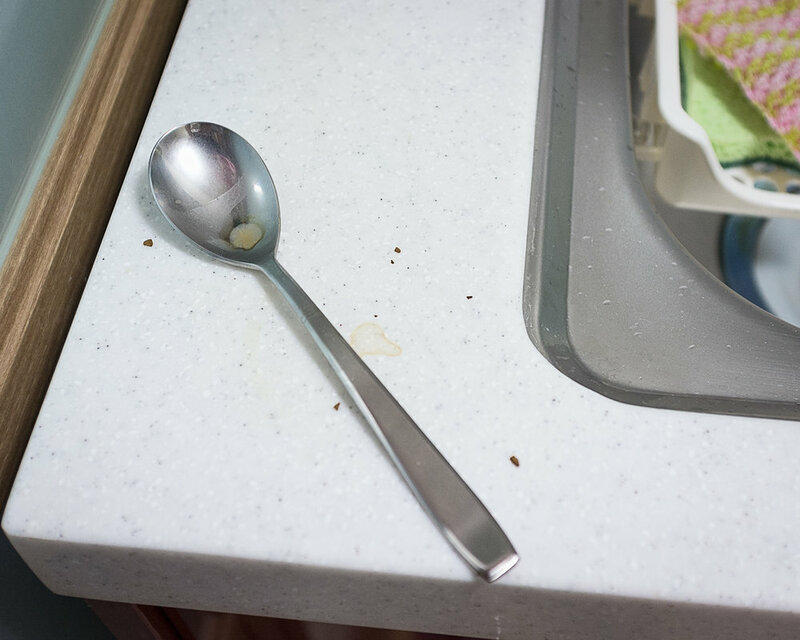 Each photograph offers a little meditation on the un-transcendent leftover signs of lived experience.